Showcasing some really inspiring artwork that draws upon industry-standard tools, techniques and software, this collection is perfect for digital enthusiasts and professionals alike. Detailed step-by-step guides cover a range of genres from pop art collage to manga illustration, showing you how to blend traditional print media with fresh digital styles, while experienced artists share the tips and tricks that compose their work. Photoshop - Create a distinctive style of art with Photoshop. Painter - Build, paint and create a striking scene in Painter. Illustrator - Design and draw vector artwork in Illustrator. iPad/iPhone - Produce art on the go with tablets and smartphones. 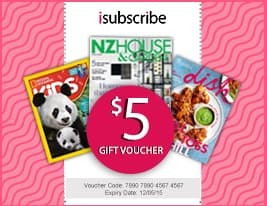 Please note: Digital versions of the bookazines do not include the covermount items or supplements that you would find on printed editions. 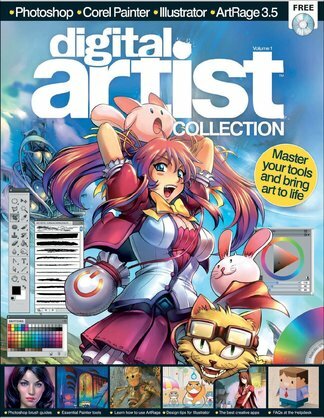 Be the first person to tell us what you think about Digital Artist Collection Vol 1 and you'll save $5 on your next purchase!